The Golden Dragon Acrobats were first established in 1967, but when they perform, they are representing a time-honored tradition that dates back to over 25 centuries ago. In 2005, Golden Dragon Acrobats had a six-week stay on Broadway, where they had a sold-out opening night show filled with standing ovations. During their Broadway debut, they received not one, but two New York Drama Desk nominations for both Unique Theatrical Experience and Best Choreography. The masterminds behind this unique theater experience are Danny Chang (their world-renowned manager) and their brilliant choreographer Angela Chang. Together they combine award-winning acrobatics with traditional dance, breathtaking costumes, and theatrical expertise, with music ranging from ancient to contemporary. 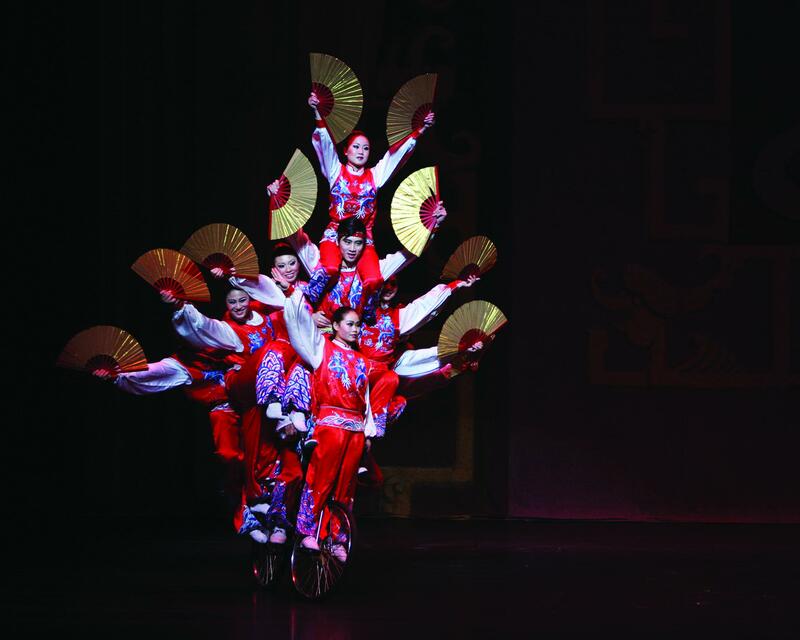 What makes the Golden Dragon Acrobats stand out even further is that they remain the only Chinese acrobatic touring company to tour year-round in the United States. There's a reason these shows maintain their sold-out status. What you could expect to see in a Las Vegas show is coming straight to Erie, but for one night only.